Are you seeking a deeply engaging and spiritual pregnancy experience? Do you want to build your spiritual energy into birth and motherhood? Do you want to enhance your intuition or just trust it more? ​Is ABOUT your personal spiritual path into motherhood with your baby before birth. Pregnancy is a synergetic experience between pregnant person and child; both tuning into one another for the highest and best intention within a spiritual fulfilled life of great learning and expanding. Cosmic Pregnancy is a deeply inspiring, motivating, and healing 3-Month experience. It is for any woman or pregnant person in the 1st, 2nd, or 3rd trimester of pregnancy. It can fit into any lifestyle. The cosmic pregnancy experience supports all kinds of pregnancies and births from natural birth to medically supportive birth. If you have experienced a miscarriage, later loss, or conception issues this experience could provide deeper healing and deeper reflections. You are encouraged to join if you seek spiritual and emotional support that addresses fears and anxieties and other emotions during pregnancy. When you have support it is scientifically proven to accelerate healing, shorten duration of issues, and create a new energy of wellness from birth into parenthood. If you consider yourself a spiritual person and want to go deeper into self trust, sacred guidance, and open to a new level of self awareness. Then Cosmic Pregnancy will fit beautifully into your spirituality and life style. How do you receive your pregnancy and sweet baby goodness during the short 9 months? Pregnancy has a way of slowing you down for mindfulness along with body acceptance in order to access your inner solitude and ease. When you create awareness you are opening to more sacred connections with you and your baby. Your baby calls for special attention by being present and sharing her or his energy with you in many ways. Pre-birth communication is a bonding experience. Your baby in spirit is a light of consciousness and so much more! Your connections of feeling, sensing, listening are apart of your baby bonding connections. The benefit of communication before birth offers a powerful and deepening spiritual link. Your relationship begins way before your baby is born. It is easy to get busy by life and overwhelmed during pregnancy, but how loving it is to make room to be present and receive a healthy and healing connection. What kind of connection do you want to share with your baby? How can you ease anxieties and fears in pregnancy and birth? Are you open to receive insights from your baby? Is your mind and heart aligned to your birth? ​Join a 3 Month practice that is experiential, educational, and deeply spiritual. Learn about the energy of a spiritual pregnancy and pre-birth communication from pregnancy to birth. You will experience a bonding with the spirit of your child or children before birth by creating a healing connection along with many other things for a psychologically, spirituality and metaphysically aligned experience. The lecture is TWICE a MONTH with a total of 4 weeks of rich and deep material that you will apply to your pregnancy and spirit baby communication. You will experience the benefits of building a special relationship with your baby that will give you a new sense of self awareness, an expansive understanding of your feelings, an elevation of your intuition, and confidence in your pregnancy into birth. Learn to access your deepest intuitive potential as a woman/person in pregnancy, while learning more about who you are and how to trust your body, trust your mind, and trust your soul. In each week get 60 minutes of tele-class materials, recorded MP3's to listen to anytime, special meditations that are specific to pregnancy pre-birth communication, tuning into the pregnant body, a unique Cosmic Pregnancy workbook, messages from the spirit of your baby, and Q & A in each lecture. You will gain a spiritual practice that is highly supportive, deeply bonding, and powerfully interactive. In pregnancy YOU are making a conscious commitment to build greater self awareness and a deeper connection with your spirituality. 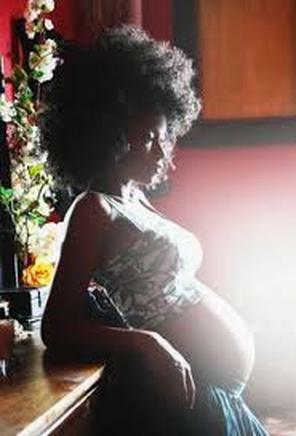 If you are ready to experience a cosmic pregnancy into birth this means you are having a child of light. This means YOUR child will be a new thinker, light creator, system buster, and a true authentic being. Spirit communication with your body can awaken you to your true self and create a better understanding of your intuition and inner guidance of self trust. A bonding relationship between mother and child before birth offers a strengthening of hearts and minds for mother, father, and child/children. Your child comes with a mission and purpose and together you can learn and grow into the development of it. Parenthood is your spiritual calling and this is why you are called to meet your baby before birth. Understand how trusting faith keeps you connected in a pure and loving way. Each soul that is birthed into this world is no accident or mistake or coincident. Each being adds to the universal truth with compassion, love, and higher ways of being. An intuitive pregnancy allows you to trust your birth and your body no matter how your pregnancy goes and no matter how your birth unfolds. You learn what it means to be real and raw. How emotions and feelings are teaching you and molding you into a greater self. You are opening to LIFE. A human life comes through you and into this world. Your baby wants to share with you in a most loving way and YOU must be awakened within to listen and tune into it. Click Cosmic Enrollment to JOIN! Participate in the Cosmic Pregnancy Circle – With a LIVE call TWICE a month (join by phone or web). YOU get to experience this all from your HOME. How it works is you call during scheduled time by dialing in phone number & entering code OR you can listen through your computer (you can also use Skype). International and local number provided. The ﻿Cosmic Circle ﻿is where you will learn to develop your inner abilities of sacred development, communication with baby or babies, guided meditations, get reflective questions from workbook, space to share and ask questions, and receive support. The Circle is an open, healing, and safe place to receive clarity and insight. It is confidential and private. All 6 WEEKS are recorded. Total of (4) 90minute calls all together that are rich and deep with tools, exercises, dialogue, and techniques to enhance your pregnancy. You are encouraged to save MP3's recordings to play back calls anytime for review or for international time zone issues, AND if you miss any calls. ​Cosmic Pregnancy - Spiritual Practice with Your Spirit Baby Journal is a downloadable workbook of reflective questions and resources. The journal is for you to review and promote creative psychic flow and inner emotional dialogue. The journal is a beautiful memory to add to your baby book and share with your child someday. What does it mean to be intuitive? How do you use your spiritual gifts in your life? How do you address fears and NOT be lead by it? How do you trust your choices? Intuition is an ancient practice that has been passed on from generations. Every pregnant person to- be- has a super power along with a beautiful ability of awareness to tune inward to a strong intuition. Pregnancy has a powerful way of activating your innate connections of protection and inner awareness. Your super power is your spiritual gift. It is aligned with your intuition that guides you into inward listening, attention to your body, and connection with the spirit of your child. You will learn your unique way of communication, how to listen with your heart, discovering and developing your super power(s), and feeling secure in living it beyond pregnancy. Super powers can be many different things from: being able to have strong visualizations, a feeling empath, psychic connections, psychical sensations, to nighttime dreaming. Your ability to find your connection will guide you into pre-birth communication with the spirit of your child. You will learn to master your communication by tuning into your intuition with deep clarity, support, and trust. Is your baby sending you messages or is it your imagination? Are you super curious and full of questions? How do you talk to your baby in spirit? What does my baby want to share with you? How do you develop your connection from the soul of pregnancy to the soul of your newborn? You may be new to spirit baby communication or experienced with it. Spirit Baby 101 is about getting clarity on how to communicate with your baby and trusting the experience. It involves giving and receiving messages with you and baby. You will learn a new understanding of self trust and self confidence. The spirit of your baby is very expressive and not just in physical movement, but in her or his energy body. Your baby loves to communicate to you and with you. He or she may already be getting your attention everyday. The secret to your spirit baby communication is your ability to listen and trust that information from spirit world into this world. You will learn how to have conversations, whether it be through inspired thought, symbols, visual connections, and feelings. You will understand how messages move from energy into the mind and heart. Your comfort and confidence of communication will allow you to explore new insights like: tuning into gender, personality, earth purpose, and so much more. You will learn to master ways to create mantras and intentions to build more trust, while receiving heart awareness and your pre-birth communication practice. What is the energy field of pregnancy? How does your baby respond to your energy? What can you do to create balance in your energy systems? What deeper healing can you learn to create a birth free from drama and trauma? The pregnant energy field is always changing and expanding in many earth based and spiritual ways. The world all around you responds to you and you respond back. This is why your environment and people have an impact on your experience. It is important to pay attention to how pregnancy can not only change your consciousness, but also bring a re-worked energy system into alignment and awareness. Your major energy centers/ Chakras (such as womb space and heart space) during pregnancy can get activated with negative and positive experiences from your lineage, from your childhood, from current issues, and more. You will learn to master your inner awareness with your spirit body as it goes through levels of spiritual change. Your baby is providing a deeper opening to make a new path into this life. Your energy field and your baby's energy field are working in different ways at different times. The spirit agreement is always in motion and that means your frequencies are moving in and out of alignment. Learning about energy can benefit your health and awareness during pregnancy. Even how energy medicine and Energy Psychology can support you as a resource with useful tools that create ease, peace, and mental emotional balance. What does it mean to call upon your INNER sacred midwife? Can you deeply ignite your power for a positive birth? How can you move from fear to faith? How do you trust? Calling upon your inner midwife means being present with kindness, compassion, and support. Your inner sacred midwife is your inner divine YOU that guides you deeper on your birth journey. Your body and your spirit know you the best, and how you tune into that to create a great environment for your pregnancy and birth is a part of it. Baby in spirit is listening and responding to your needs. Learn to become even more comfortable with it. You will be encouraged to understand how symbols, signs, feelings, visions, sounds, tingles, and sensations are leading you. Baby communication is your unique practice and you will experience trust and how to ask deeper questions and get messages. Every pregnant person wants to build a loving, supportive, and healing childbirth experience. It is an ideal experience to bring the pregnancy energy into deeper emotional places before birth. It can allow room for extra inner support. Pregnancy and birth move into a special rhythm and is not always planned even with a birth plan and birth vision. Your inner midwife will guide you and add flexibility. How do you encourage connection in partnership? What does it mean for your partner to become a mother/father? How do you support spiritual parenting? Cosmic pregnancy is all about the pregnant person. The connection of father/ mother/ partner has a major role in keeping mother/pregnant person safe, cared for, supported, nurtured, and loved during pregnancy and postpartum. Partners are in the experience of pregnancy in a different way and that needs to be nurtured, cared for, and supported as well. Partnership in spirit baby communication awareness is a magical experience that all can share in. You will learn how to include the father/mother/ partner in your cosmic pregnancy experience. It is important to bring energy to the partner and acknowledge his or her journey of pregnancy and communication, especially if you are in a couple relationship. Learn to support your partners feelings in communication and how to talk to your child to facilitate that baby and parent bonding. You will master a fun way to practice pre-birth communication, meditations together, step by step guidance, and validation of spiritual exploration within baby bonding. How do you communicate with baby in labor? How do you use your spiritual heart to birth? What does it mean to move back and forth from fear to ease in labor? Labor is an initiation to birthing life. Every pregnancy and birth is very unique experience. It is truly a dance of the body with fear and ease. You move back and forth to find the balance of working with your baby to birth. The fear of labor and birth is a real fear. Pre-birth communication can save you when birth gets hard and fears over come you. That inner connection you have been building is life changing and supportive. Accessing continuous trust will give to you in big ways. Your support will gain deeper communication with baby and what you need to be present, listen, and receive. Your intuition awareness will deepen you. Learn more about how you have a voice, working with you, being heard, and feeling connected. You don't want to miss out on connections and creating your inner practice of soul to soul communication. It will define your next steps in self awareness and bring about love and appreciation for parenthood. Your baby is swimming in healing energy within your womb because you are creating it! Your baby has a lot to share with you! Additional BONUS for Early ENROLLMENT! Is Cosmic Pregnancy 3 - Month Practice For Me? Do you DESIRE a spiritual pregnancy? Are you feeling aligned with your baby energetically? Are you ready to let go of more fear? Do you want support in creating deeper connects with your baby before birth? Are you seeking depth and answers about your energy body? Are you interested in joining others with the same vision in pregnancy? Are you ready to learn techniques, tools, and skills to put into practice? If you have a questions....Ask!